The Health and Human services Office of Inspector General (OIG) recently released its 2017 Annual Work Plan. Work planning is an ongoing project within the OIG. Every year, the OIG publishes a work plan that consolidates the OIG audits and evaluations that are being conducted or planned within the organization. The annual work plan has become a source that compliance officers look to as a tool for the identification of potential risk areas or areas of emphasis within their organization. It is obviously not the only source for identifying compliance risk areas, but is certainly one reliable source that providers can draw on when setting their annual compliance priorities. The 2017 OIG Work Plan can be download through the OIG site. Ruder Ware’s health care group will continue to put out blogs and articles on various issues identified in the 2017 Annual Work Plan. We will focus primarily on issues that were introduced for the first time in this year’s plan. The OIG’s 2017 Annual Work Plan identified a few new areas of focus relating to nursing homes and skilled nursing facilities. Nursing home compliance officers should consider these newly identified issues when developing their annual compliance work plan. The Work Plan references a 2006 OIG report which found that state agencies failed to investigate in a timely manner some of the most serious complaints regarding nursing home conditions. The report referenced nursing home complaints involving immediate jeopardy and/or actual harm to residents. Complaints that rise to this level of severity are to be investigated by applicable state agencies within a 2 and 10 day timeframe. The Work Plan states that OIG will determine the extent to which State agencies investigate serious nuring home complaints within the required timeframes. Nursing homes can expect this to put more pressure on states that are responsible for these investigations to meet these timeframes on a more regular basis. This newly identified topic relates to skilled nursing facilities. The OIG states that is plans to “assess” the incidence of abuse and neglect that occurs in skilled nursing facilities. It then plans to make a determination whether these incidents were properly reported and investigated as required under applicable Federal and state law. It appears that the OIG will be taking a sampled representation of cases to investigate. This conclusion can be garnered from reference in the Work Plan to “sampled” incident reports. The OIG plans to interview state officials to assure that incident reports that are examined under its sampling system were reported as required under law. The OIG plans to go even further and determine whether each reportable incident was investigated and subsequently prosecuted by the state. This area could create some immediate risk exposure to facilities who are sampled as part of the OIG’s investigation. Facilities who are found to have failed to appropriately report potential abuse and neglect incidents could be subject to sanctions. the OIG states that it will review documentation of selected Skilled Nursing Facilities to determine whether Minimum Data Set Tool have been properly used to determine the severity of the patient’s condition. SNF reimbursment is tied to the severity of the patient’s condition through application of this tool. Periodic assessments must be performed on each patient by applicable skilled nursing facility. Improper use of the tool results in higher reimbursment than may be justified by the patient’s condition. This issue was called out by previous OIG studies that indicated higher levels of reimbursement were being paid due to improper use of the Minimum Data Set Tool. Again, this is an area of specific concern for facilities who are lucky enough to be selected for audit by the OIG. If the facility is found to have improperly assessed patient severity, overpayment and potential penalties may be imposed. A finding on a small sample could also lead to expansion past the initially reviewed cases. The Office of Inspector General has issued its revised 2014 annual work plan. The work plan contains several new items that have not been part of previous work plans that were previously released by the Office of Inspector General. We will be summarizing specific new items in the work plan over a series of blog posts. There are many additional new items contained in the 2014 work plan. Providers should examine the 2014 work plan to determine what, if any, new items may pertain to their compliance programs and practices. The Office of Inspector General of the Department of Health of Health and Human Services (“OIG”) has published their annual work plan for the 2013 fiscal year (“2013 Work Plan”). The Work Plan focuses on areas where OIG plans to focus significant resources during the 2013 fiscal year. The 2013 Work Plan creates opportunities for providers to get a glimpse of what the OIG feels is important and to integrate these areas into their ongoing compliance activities. This update will briefly summarize some of the new issues that were added this year. It is not a comprehensive description of all items that are on the OIG’s radar. Providers are advised to review the entire 2013 Work Plan plus the work plans from the past several years to get a more complete picture of issues that the OIG feels are important. 2. Provider-Based Status of Hospital on Physician Practices. There is currently an incentive for a physician group to bill as a provider-based physician practice where there are ties to a hospital. The OIG will be reviewing the appropriateness of physician practices who are billing as “provider-based” groups without meeting all of the necessary criteria. 3. Medicare Transfer Policy. The OIG will review Medicare payments made to hospitals for beneficiary discharges that should more appropriately have been coded as transfers. Hospitals that transfer beneficiaries to another facility are not entitled to the full DRG payment that is due when a patient is properly discharged. This creates an incentive for hospitals to code for a discharge when the patient is actually being transferred to another facility. The OIG will be reviewing hospital billings to look for inappropriate “discharge” classifications. Hospitals should audit their discharge and transfer practices to be certain that they are properly coding transfers where applicable. 4. Payment for Discharges to Swing Beds and Other Hospitals. Currently, Medicare does not reduce the DRG amount that is paid when a patient transfer is made into a “swing bed,” even when the “swing bed” is located in a separate facility. The OIG will be reviewing this practice to determine whether any savings can come from reducing DRG payments when the swing bed transfer is made to another facility. 5. Hospital Payments for Canceled Surgical Procedures. The OIG will be reviewing payments that are made for canceled surgical procedures which are then followed by a second payment for a rescheduled procedure. Current Medicare policy does not preclude payments for claims when there is an inpatient stay followed by canceled surgical procedure. CMS will be reviewing this policy to determine whether savings can be made in this area. 6. Payments from the Mechanical Ventilation. CMS will be reviewing Medicare payments for mechanical ventilation. Patients are required to receive 96 hours of mechanical ventilation in order to be eligible for payments under the DRG system. 7. Improve An Organization Work With Hospital. OIG will be reviewing the extent that Quality Improvement Organizations have worked with hospitals to conduct quality improvement projects and to provide technical assistance. 8. Hospital Acquisition of Ambulatory Surgery Centers. OIG will be reviewing hospital acquisitions of ambulatory surgery centers to determine whether these centers are being acquired as a method to increase reimbursement. ASC services that are provided as in an outpatient department of the hospital are reimbursed at higher rates than independently owned an ambulatory surgery centers. 9. Critical Access Hospital Payments for Swing Bed Services. Critical access hospitals are able to designate a portion of the 25 bed allotment for use as acute care or swing bed services with CMS’s approval. There is no limitation on the length of stay that is permitted for swing bed utilization. The OIG will be reviewing this policy to determine whether reimbursement changes are required in this area. 1. Long-Term Care Hospital Interrupted State Payments. The OIG will be reviewing Medicare payments for interrupted stays in long-term care hospitals for the year 2011. They will be identifying readmission patterns to determine whether the long-term care hospital’s re-admittance policies are in compliance with rules. 2. Nursing Home Verification of State Agency Deficiency Corrections. The OIG will be determining whether state survey agencies properly followed up and verified fulfillment of corrective action plans for deficiencies and identified during nursing home recertification surveys. The OIG is concerned that state survey agencies may not always be verifying that identified deficiencies were properly corrected. 3. Nursing Home Use of Atypical Antipsychotic Drugs. The OIG will be reviewing administration of atypical antipsychotic drugs to nursing home residents. The OIG will describe characteristics associated with nursing homes that frequently administer atypical antipsychotic drugs. 4. Nursing Home Minimum Data Set Submissions. OIG will determine whether CMS and state agencies oversee the accuracy and completion of minimum data sets that are submitted for nursing facilities. 1. Home Health Agency Face-To-Face Requirements. OIG will be reviewing Medicare eligible home health services to be certain that face-to-face encounters are taking place as required under the Patient Protection and Affordable Care Act. Previous studies indicated that only 30% of beneficiaries had at least one face-to-face visit with the physician who ordered the home health. 2. Criminal Background Checks By Home Health Agencies. The OIG will be reviewing home health agencies to determine whether they are complying with state requirements that require criminal background checks to be conducted on home health applicants and employees. Federal law requires compliance with state and local laws regarding criminal background checks. In previous OIG reviews, 92% of nursing homes employed at least one individual with criminal convictions. 1. Accreditation of Medical Equipment Suppliers. OIG will be reviewing CMS procedures for conducting validation surveys of medical equipment suppliers. CMS is required to conduct validation surveys regarding beneficiary safety and quality of care that may place Medicare beneficiaries at risk. 2. Payments for Power Mobility Devices. A series of reviews will be conducted relative to power mobility devices. Reviews will focus on whether Medicare payments made to suppliers were made in accordance with federal regulations and were “reasonable and necessary.” OIG will also be reviewing payment methods to determine whether savings can be achieved by eliminating the option of a lump sum purchase and requiring leasing of some power mobility devices. 3. Continuous Positive Airway Pressure Supplies. CMS will be reviewing whether scheduling of replacement supplies is appropriate and whether changing the scheduling could avoid possible wasteful spending. There is currently no national requirement for CPAP replacement schedules. 4. Diabetes Testing Supplies. There are a number of new areas identified for examination relating to diabetes testing supplies. Providers involved in these areas should carefully review the new items that relate to diabetes management and testing. 1. Onsite Visits for Medical Providers in Supplier Enrollment and Reenrollment. CMS has the right as it deems necessary to perform onsite inspections of providers who are enrolling in the Medicare program. CMS is authorized to expand the role of unannounced pre-enrollment visits. Reviews found that some 33% of medical equipment suppliers in South Florida do not maintain physical facilities. OIG will be examining these requirements to determine whether additional site visits are appropriate. 2. Improper Use of Commercial Mailboxes. Medicare providers are required to establish a physical business location with a permanent visible sign and a specific street addresses. Mailboxes alone or not permitted. Recent evidence suggests that individuals attempting to defraud Medicare may be using commercial mailbox addresses for this purpose. OIG will be reviewing providers and suppliers to determine whether their listed addresses match commercial mailbox addresses. 3. Provider Subject To Debt Collection. CMS will be determining whether payment should be rechanneled relative to providers who have been reported to the Department of Treasury for collection of overpayment refunds. 1. Payment for Personally Performed Anesthesia Services. OIG will be reviewing anesthesia claims to determine whether they are supported in accordance with Medicare requirements. In order for a provider to be reimbursed as a personally performed anesthesia service, proper information must be included on the claim and in the medical chart to verify the claim. Service modifier “AA” is used in connection with anesthesia services that are personally perform. QK modifiers are used for medical direction of two, three, four concurrent anesthesia services. Providers using “AA” modifiers must be able to support the requirement for receiving 100% of the personally performed services. 2. Questionable Ophthalmological Service Billings for 2011. OIG will be reviewing claims data to identify questionable billings for ophthalmologic services during 2011. They will review geographic locations and provider patterns where questionable billings are located. The types of billing that will be examined were not identified. 3. Electrodiagnostic Testing. OIG will be reviewing questionable billing for electrodiagnostic testing and will be attempting to identify Medicare utilization rates and get different rates by provider specialty, diagnosis, and geographic areas. OIG identifies electrodiagnostic testing as an area of potential inappropriate financial gain posing significant vulnerabilities to the Medicare program. 1. Location Requirements for Rural Health Clinics. Rural health clinics are required to meet basic location requirements. CMS has not promulgated final regulations allowing removal of rural health clinics that did not meet location requirements. OIG will be reviewing this procedure. 2. Claims Processing Areas “G” Modifiers. The OIG will determine the extent to which Medicare improperly paid claims from 2002 to 2011 where certain “G” modifiers were used. “G” modifiers are used to indicate that Medicare denial is expected by the provider. It has been identified that some payments were made to providers in spite of the use of these modifier codes. 3. 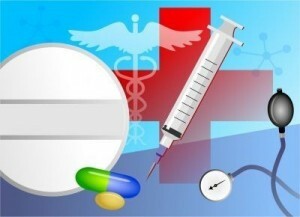 Analysis of Drug Shortage in Patient Safety Concerns. The OIG will be examining the recent trend of drug shortages to determine whether there has been an effect on pricing of pharmaceuticals. Suspicion of industry price manipulation appears to be the motivation behind this system. This is a brief summary of some of the areas that were described in the recent 2013 Work Plan. For a more comprehensive discussion of these items, visit the website for the Office of Inspector General and download the complete fiscal year 2013 annual work plan. It is highly advisable for compliance officers to examine the document in its entirety to determine what impact, if any, it will have on their compliance efforts for fiscal year 2013. It is also good practice to review annual work plans for several previous years as part of the risk identification process. If there are any questions regarding these requirements or how they impact compliance programs and detailed requirements that are generally described in this document, please do not hesitate to contact John H. Fisher, II, Esq., CCEP, CHC. Yesterday (October 2, 2012), the HHS Office of Inspector General (OIG) published its Work Plan for Fiscal Year 2013. The work Plan is published annually by the OIG and contains brief descriptions of activities that OIG plans to initiate or continue for fiscal year 2013. 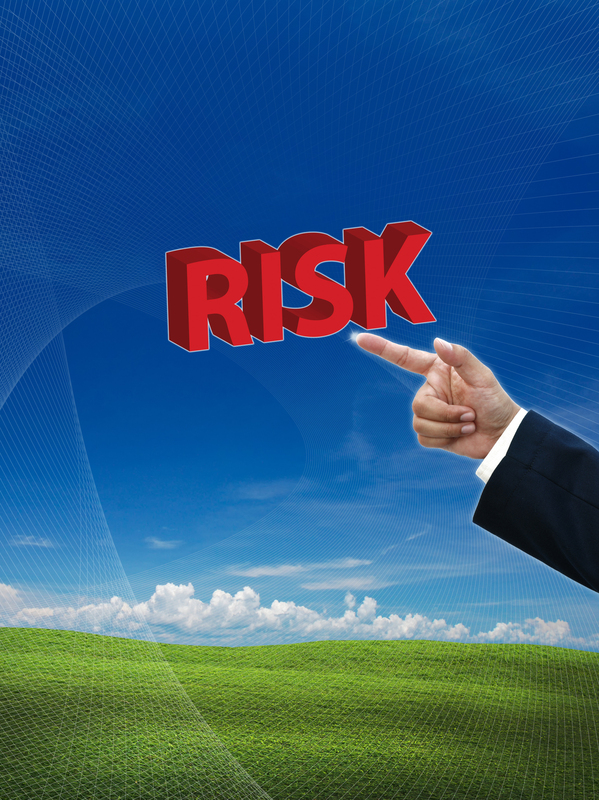 The Work Plan has become a source for health care providers to identify potential risk areas within their organization so that thay can tailor their compliance efforts to address the issues that the OIG believes are important. We are in the process of reviewing the OIG 2013 Work Plan and will post a summary or a series of articles over the upcoming days. 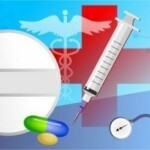 This particular article will focus on some of the 2011 Work Plan issues that apply to home health providers. The 2011 OIG Work Plan identified several key areas of focus for home health agencies. The OIG will be reviewing Part B payments for services and medical supplies provided to beneficiaries in home health episodes. Most services and non routine medical supplies furnished to Medicare beneficiaries during home health episodes are included in the home health agency (HHA) prospective payments. Normally payment for home health services furnished under a plan of care of an HHA are made to the home health agency. This includes payment for services and supplies provided under arrangements by outside suppliers. The OIG will be focusing on the identification of Part B payments to outside suppliers for services and medical supplies that are included in the HHA prospective payment. OIG will be conducting examinations concerning the adequacy of controls that the home health agency established to prevent inappropriate Part B payments for services and medical supplies. 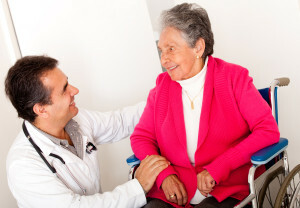 In order to receive home health services a patient must meet certain coverage requirements including: (1) the patient must be homebound; (2) the patient must require intermittent skilled nursing care, physical or speech therapy, or occupational therapy; (3) the patient must be under the care of a physician; and (4) have a physician established and periodically reviewed plan of care. The Work Plan states that the OIG will continue to perform reviews to assure compliance with these conditions of coverage. Medicare reimburses for home health services on a prospective basis based on categories that are grouped based on the patient’s need for care and resources. These categories are referred to as Home Health Resource Groups. HHRGs are assigned based on an assessment of each patient. The OIG Work Plan will target the assignment of HHRG codes assigned to patients. Federal regulations require home health agencies to conduct comprehensive patient assessments. These examinations must include OASIS data items which must also be submitted to CMS. The OASIS data is used by CMS in the home health prospective payment system. OASIS quality data is also used in CMS’ Home Health Compare web site. The OASS data contains information on the performance of the home health agency in assisting patients to regain and maintain functioning and the activities involved with daily living. The 2011 Work Plan states that the OIG will be reviewing CMS’s process to assure that the data being reported by home health agencies is complete and accurate. The OIG expresses concern with the rapid increase in home health expenditures since PPS was implemented in 2000. As a result of this concern, the OIG will be examining many aspects of the home health PPS. Some of the areas specifically mentioned include whether the billing is for an the appropriate location, an analysis of trends in home health activities, visit frequency, ownership arrangements and arrangements with other providers and facilities. Again stating a concern over the growth in home health spending since PPS was implemented, the OIG states an intention to examine home health profitability. The OIG will examine cost report data to determine trends in profitability of home health providers since home health PPS was implemented. The OIG highlights DME suppliers, that it claims are often associated with home health agencies, who have been found to have provided innacurate information in their enrollment documentation. The OIG states that it will be reviewed CMS and state agency program integrity efforts during the enrollment process to be certain that complete and accurate applications are provided.